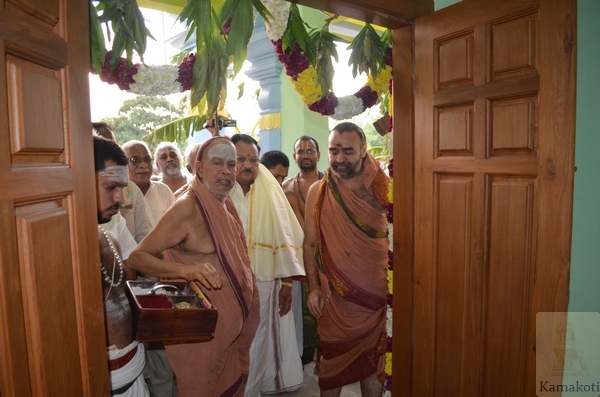 His Holiness Pujya Shri Jayendra Saraswathi Shankaracharya Swamigal and His Holiness Pujya Shri Shankara Vijayendra Saraswathi Swamigal opened the new Vaikhanasa Pathashala building at Avadi. The Minister of Endowments, Andhra Pradesh, Shri P. Manikyala Rao and TTD Chairman Shri Chadalavada Krishnamurthy were the Chief Guest and Guest of Honour for the inaugural function. 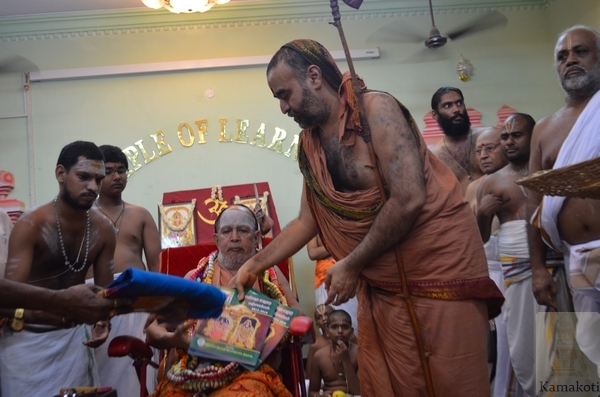 With the Blessings of Kanchi Acharyas a Vaikhanasa Pathashala is being run by the Adi Shankara Institute of Culture since three years. This is the fourth year since inception and currently 80 students belonging to traditional Vaikhanasa families are undergoing studies at the Pathashala along with CBSE-based contemporary education. 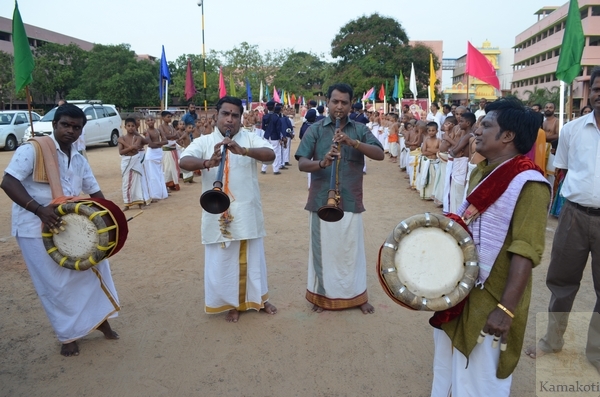 The Vidyarthis are trained from the basics like performing Archana, to conducting Kumbhabhishekam as per Vaikhanasa tradition during their stay in the Pathashala along with the required portions in Vedas and Sanskrit language. 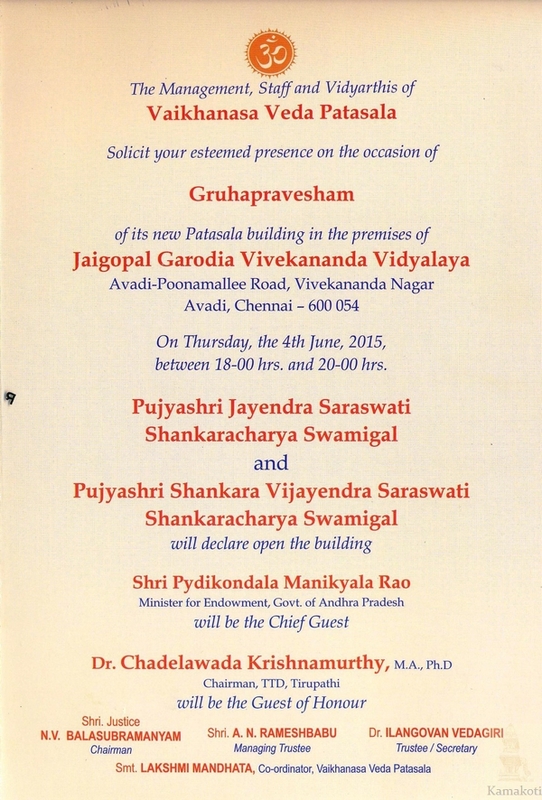 The scheme is managed by a dedicated board of Trustees Shri Justice NV Balasubramaniam-Chairman, Shri Ramesh Babu- Founder Trustee, Shri Rangaswamy- Advisor to L&T Chairman, Shri Dr. Elangovan Vedagiri, Shri Raghavan Fmr Chairman and MD Indian Bank, Shri Dr. Vijay Verma & Shri Vaidyanathan-Auditor coordinated by Smt Lakshmi Mandhata. A new Pathashala buiding was built to cater to the increased intake students and to provide facilities to Adhyapak and support staff. 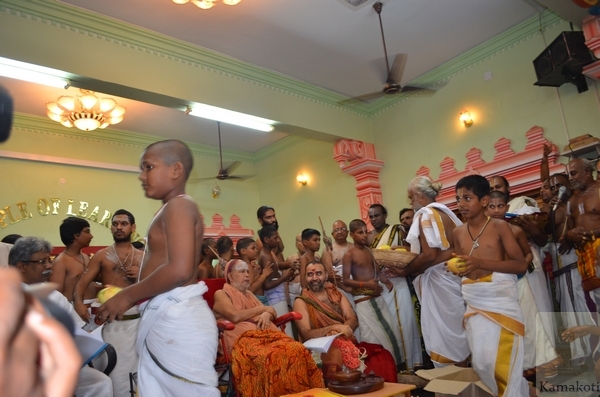 In the morning, Gruha Pravesham was performed with rituals as per Vaikhanasa tradition. 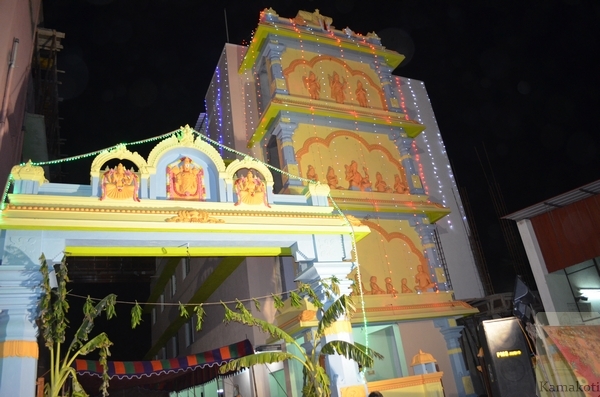 In the evening the after His Holiness declared the building open, the inaugural function was held in the Temple of Learning Auditorium in the school premises. 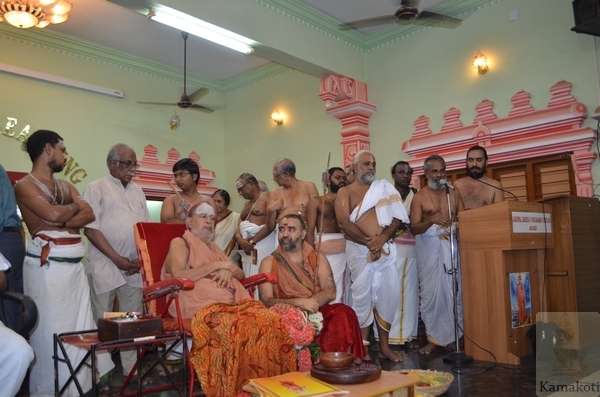 The programme commenced with Prayer and recitation of Swasti Vaachaam. 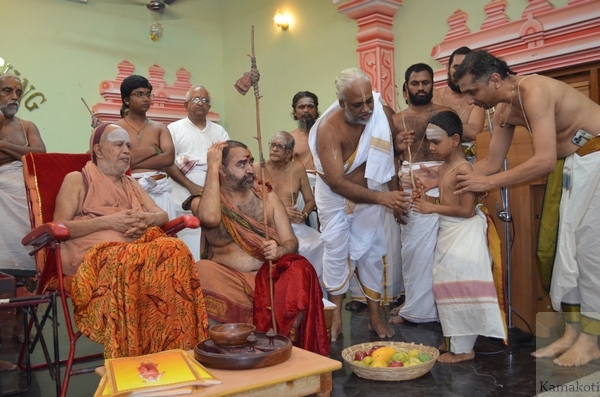 Prasadams from Sri Venkateshwara Swamy Temple, Tirumala were given to Kanchi Acharyas. 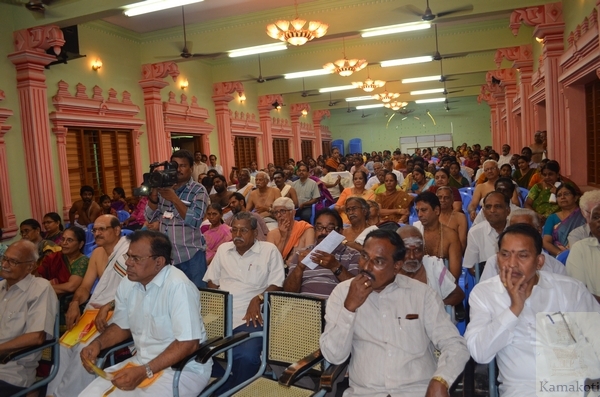 Shri Dr. Elangovan Vedagiri welcomed the gathering. 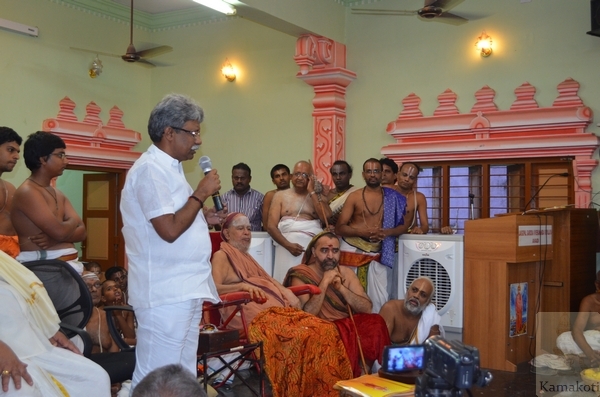 Shri Ramesh Babu, the founder trustee spoke about the blessings and guidance of Kanchi Acharyas in founding the Vaikhanasa Pathashala and the step by step growth of the instituition. 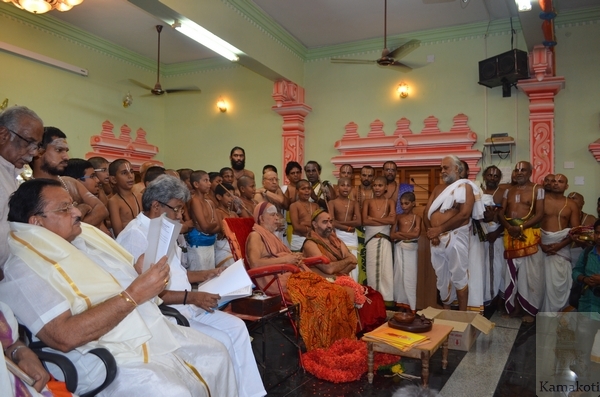 Then The Minister of Endowments of Andhra Shri Manikyala Rao presented to Their Holiness invite from Andhra Pradesh Government to bless the Godavari Pushkaram to be held from 14th to 25th of July this year. 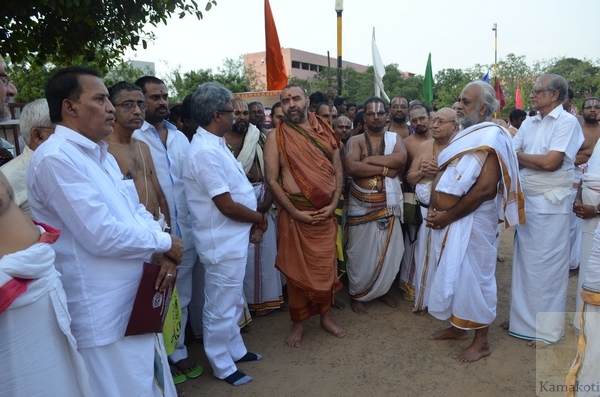 He said that this Pushkaram is taking place after 144 years and that the Acharyas may bless the divine event. 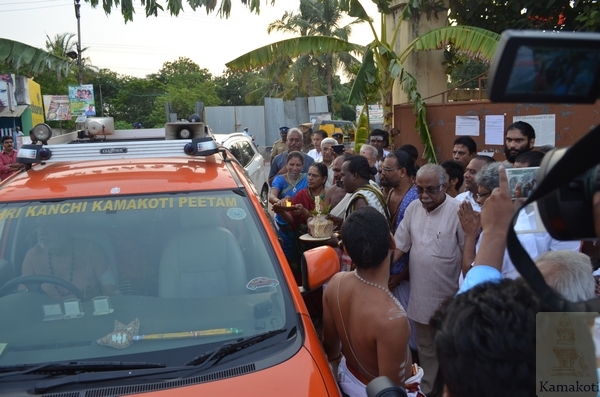 He also recollected his visit to Kanchi a year back where he talked about the dual education model but came to know that Shri Kanchi Kamakoti Peetam has already blessed such initiatives. He said that such schemes will help in culture protection and preservation and also will benefit the Archaka community for a decent livelihood along with performing temple duties. 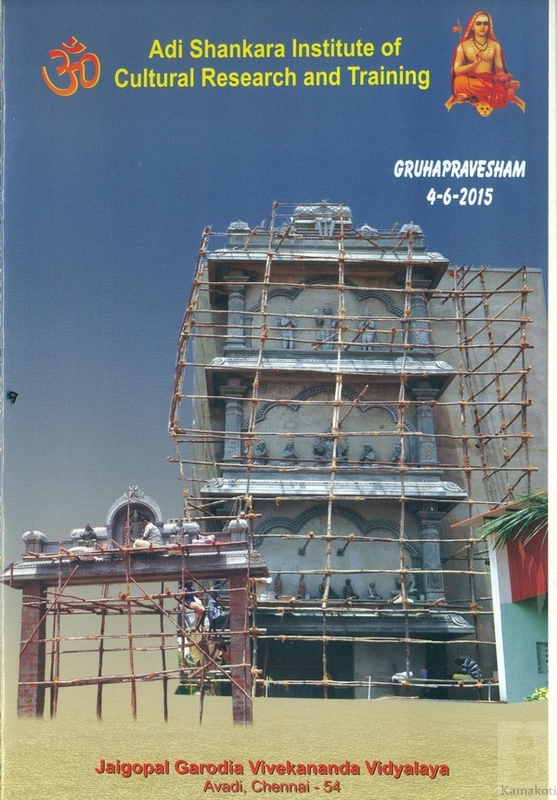 The Minister said that such projects in Andhra Pradesh will benefit many people. 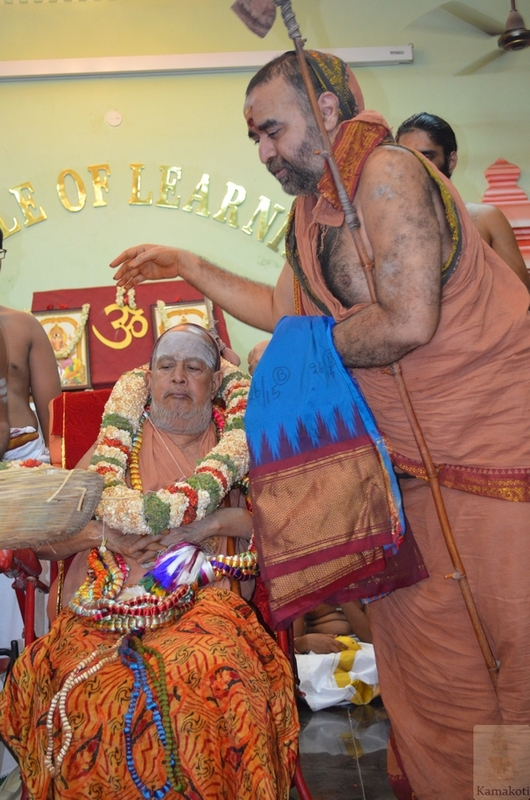 The Chairman of Tirumala Tirupaty Devasthanams said that with the Blessings of Lord Venkateshwara and Kanchi Peethadhipathis he will definitely find avenues to help in encouraging the Pathashala by way of providing recognition through Vedic University etc. 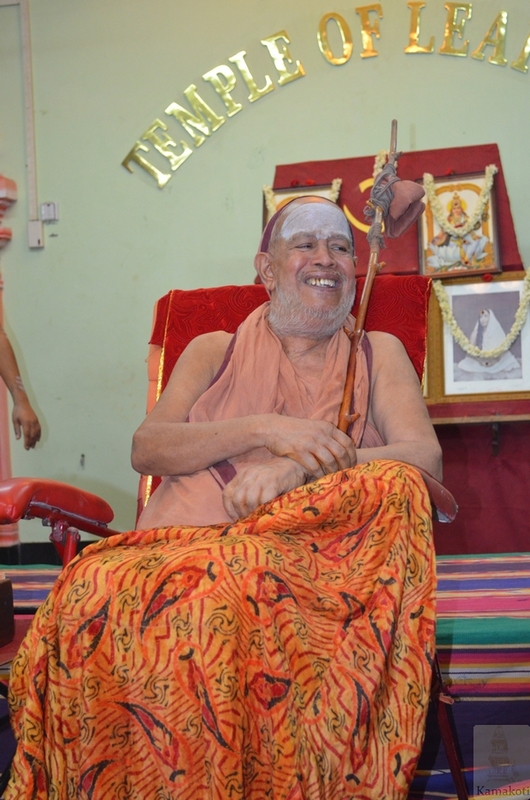 His Holiness Pujya Shri Jayendra Saraswathi Shankaracharya Swamigal in His Anugraha Bhashanam talked about the greatness and importance of Vaikhanasa Agama. 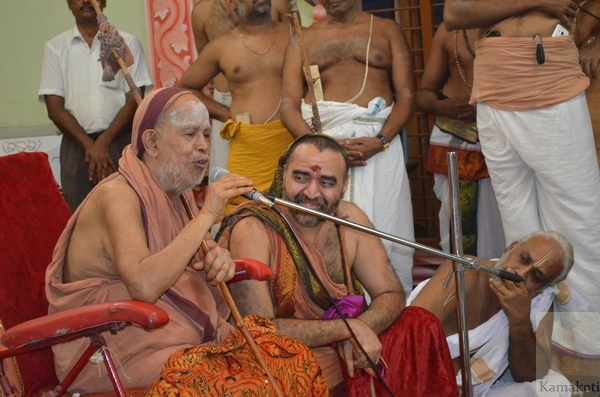 His Holiness said that in Tirumala Venkateshwara Swamy Temple pujas are performed according to Vaikhanasa tradition and the connection with the temple and Kanchi Peetam is very ancient starting from Adi Shankara. Holiness said that Adi Shankara established Janakarshana and Dhanakarshana Yantras at Tirumala. 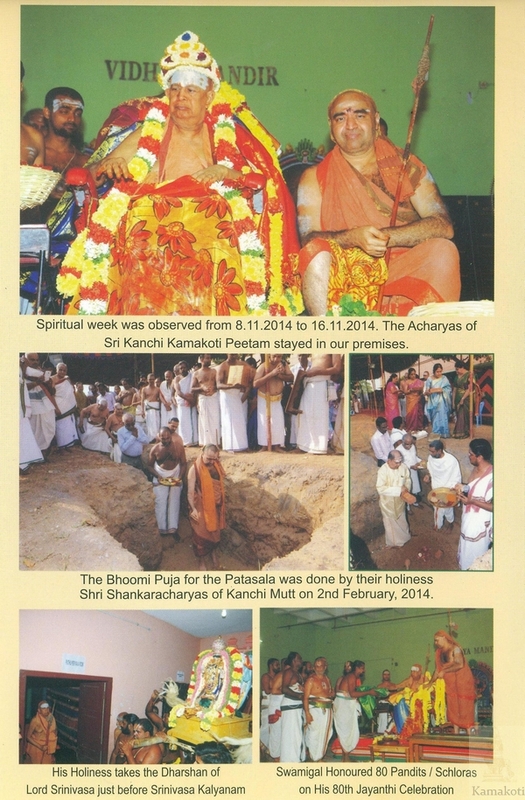 His Holiness expressed happiness about the progress of the Pathashala. His Holiness said that everyone should take efforts in cultural preservation by supporting such initiatives and Blessed the gathering.